Oh my, time flies! This is one of my Riga Fashion Week looks which I wore a week ago. This outfit screams my name and was so convenient for running around the city the whole day. 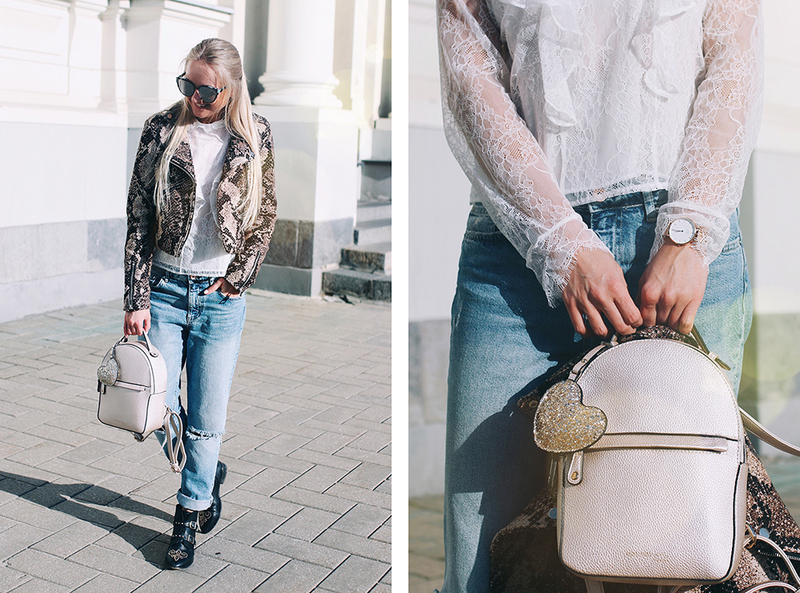 I like the contrast of ripped boyfriend jeans and girly white lace. 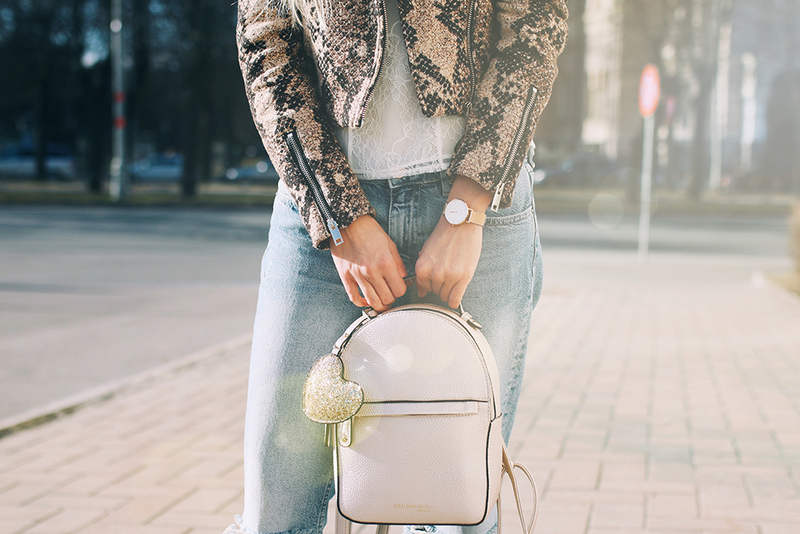 The snake print is something new in my wardrobe and I have grown to really love this jacket. I actually have a skirt with the same print but when there's time to decide what to wear I can't get out of my comfort zone, which is jeans, no surprise here. I took only one everyday bag with me, since I didn't have much room for more. This backpack fits perfectly my heavy camera and still has room for some other necessities. I like its structured shape, metallic colour and the way it compliments the outfit. Canon 70D ja 35mm f1.4 objektiiv.